Click the button below to add the Mutoh Valuejet 1204 Maintenance Assembly - DF-49686 to your wish list. 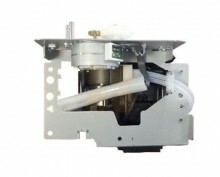 These maintenance assembly without wiper is suitable for Mutoh Valuejet 1204 printers. This is the original Mutoh part (number DF-49686). This maintenance assembly doesn't include any wipers or dampers. The maintenance assembly DG-41149, DG-40356, DG-41000 or DG-42985 can be used as an alternative.